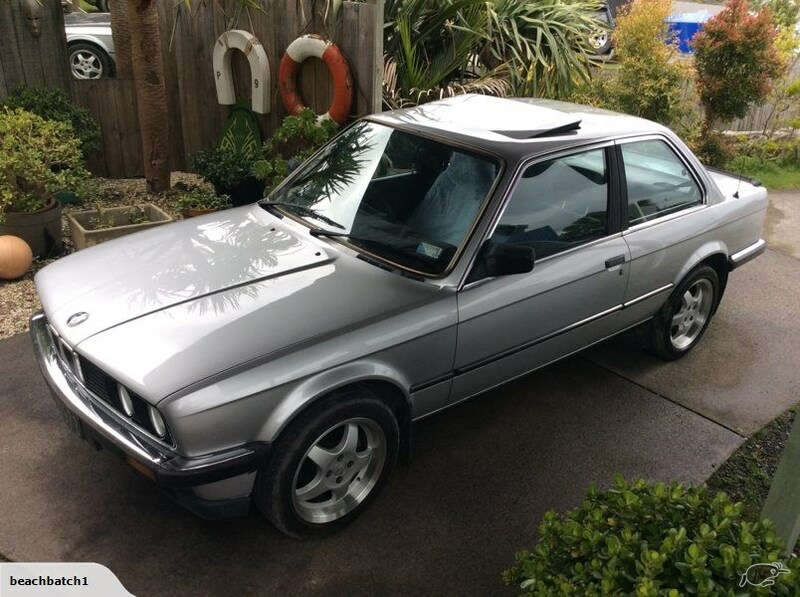 Just purchased this 83 E30, always liked the shape and think it's screaming for a Engine and Manual swap. Currently has a the 2.0 6 cyclinder with Auto. Certainly nothing to look at currently so will get the nessecary drop and wheels, possibly front and rear bumper as well... not sure what for that though. Happy to hear suggestions or if someone has a suitable engine/ gearbox that may suit this. Also if anyone want the engine and auto out of it then let me know as that will be coming out ASAP. S54 , have a spare if needed. Hmmm, nice... which one specifically? Could you please text me so I can give you a call re price and gearbox options. 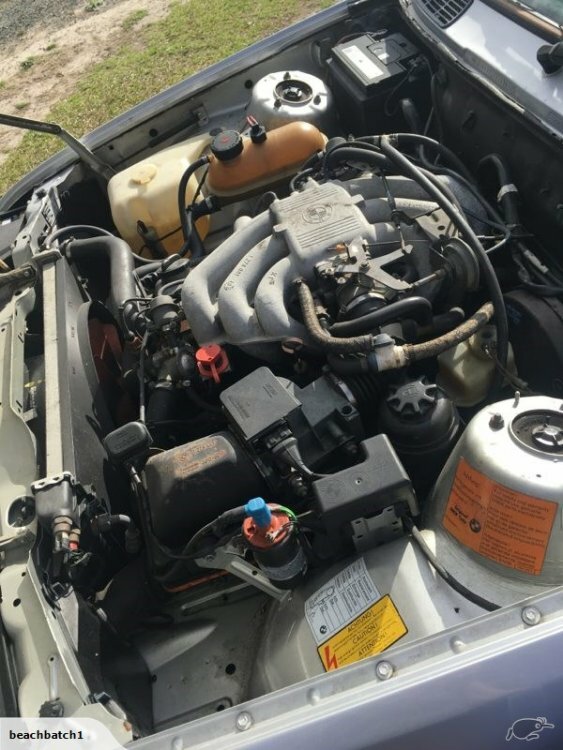 cant beat M52 for bang for buck, reliability, good power upgrade, light weight, easy swap, a million people done it so plenty of data on the internet what works and what doesnt. i can bang a conversion out in a weekend now once you have all the bits. Really comes down to budget, and i defiantley run with the school of thought while the motor (regardless of waht you put in) is out, change all the gaskets, seals, o rings, spark plugs, etc. If not everything then at the very least especially the stuff on the bottom like sump gaskets and rear main seal, timing cover that are hard to get to once the motor is in (again, regardless of the engine you choose. makes it a lot more enjoyable once finished if everything works as it should, doesnt leave a mess on your freinds driveways, etc. 1JZ would be super easy to do. Still I'd prob go S54, would be a fun machine either way. I spent a fair bit of time considering the merits of various engine swaps before deciding to stick with a 4-pot. It is typically lighter, better balances the car, leaves a lot more room in the engine bay (easier to work on) and means more space for future mods. It's simpler, so if I decide to do something silly with it, I'll have an easier platform to begin with. And I couldn't afford this. Thanks for your input, yeah that is where I had thought I would go initially, 190HP wasn't really getting me too excited though totally agree with changing other items whilst engine is on the hoist! Do you have any leads/ tips for a M52/ZF and conversion parts that would suit this change? Something we have done with a couple of E30`s and an E34 is the M54B30 Conversion. E30 pedal set with E46 Accelerator Drive by wire pedal. Not to dissimilar to an M52B28 conversion. Well bit the bullet and have gone the M54B30 route, sourced a motor last week so just need to swap sump and a few other mod's to make that happen. Have a E34 sump ready to swap over, just need to mod the oil pickup and dipstick tube a bit. Ray from HellBM hooked me up with a Getrag 220 and pedals plus a few other items required. Ray will also remove the EWS in the MS43 ECU for me. Picked up a M20 Flywheel, clutch setup off TM. 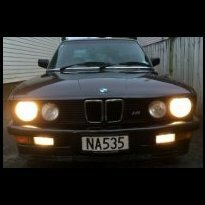 With Waitangi day tomorrow we will remove the old M20 engine and start prepping the E30, have a Z3 steering rack to swap over, install Clutch pedal, master cyclinder and Electronic Drive by Wire pedal ex E39. From what I've read will need to swap out the Brake Booster for a smaller OD, I read one post somewhere that they used a Porsche 944 item, I have a 911 SC left over from a earlier project so I'm going to look at that swap first, if not suitable will look into some other options. Want to locate a Medium LSD in the 2.93 range if anyone knows of one available? Yet to start on the wiring which is not my favorite so if anyone has any recommendations for someone in CHCH that can do it on the cheap? Will get around to putting some pic's up at some stage..
May i ask why you went with the Getrag 220 not the ZF? Figured ZF wasn't necessary, 220 was recommended to me and would be sufficient for street use. What are you planning for brakes and suspension? Other than a Brake Booster change I wasn't planning on any brake mod's at this stage. Suspension is looking like full adjustables, all shocks seem stuffed so not much different to put adjustables in compared to springs & shocks. Thanks, will keep it in mind, only planning on bumpers at the moment... they are enough of a drama so far. If you are roughly doubling the power, I suggest you do upgrade the brakes too. Even if its just decent pads. 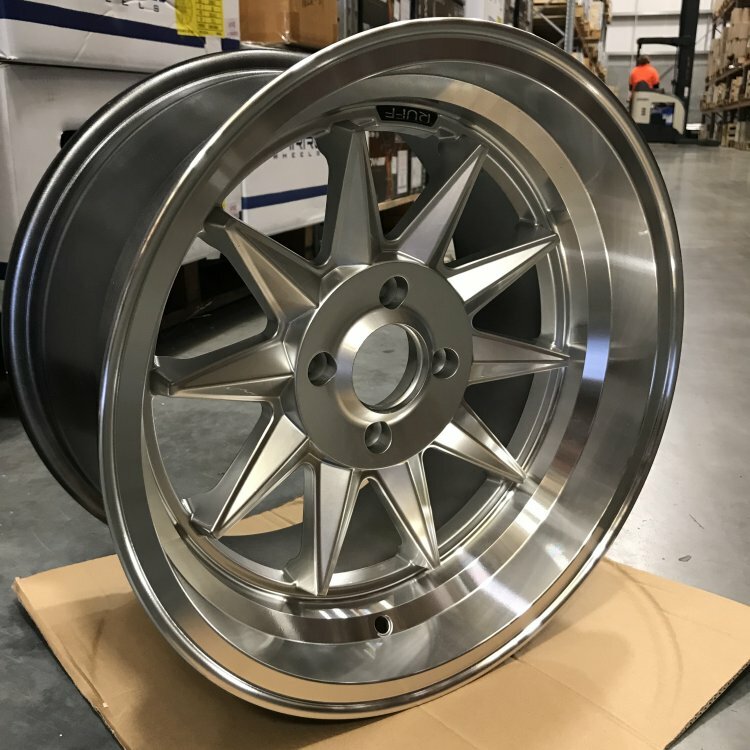 What coilovers are you looking at? If spending some coin it might be better to import these yourself to save money. Will get there once I get it running, will give some thoughts to Brakes. Yeah I import K-Sport Suspension so have that covered. Already have the 911sc Booster and it's fine, bolts straight in stud wise, clevis and rod needs extending so just dealing with that now. Have my steering rack spacers sorted for the Z3 rack, hope to sort revised power steer lines next week as they don't fit and the pump end fitting is wrong on the supply side. what are these gorgeous things? brand & retailer, please? I think these are discontinued Ruff R358s? TSW in NZ deal with Ruff. 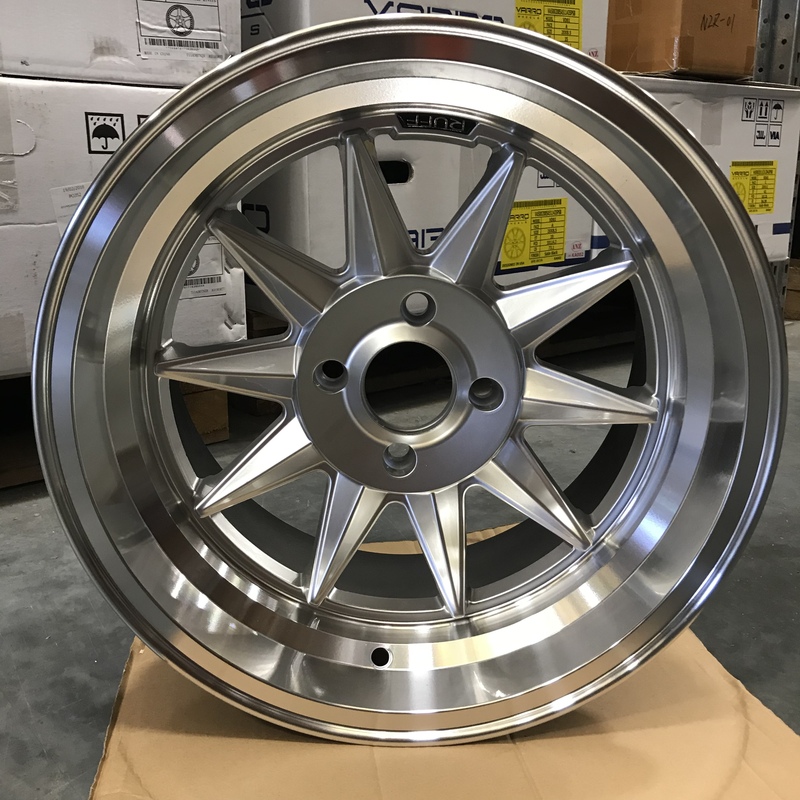 Hi Hunter, I Import wheels and Tyres as my business so added them to another container... ANZ Wheels & Tyres, only grabbed the one set, can check if they have more or would possible part with these if really keen.